Martin J. Levitt - Martin has been admitted to practice law in Tennessee since 1976 and to the Georgia Bar since 2004. 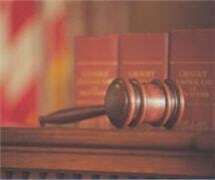 He is admitted to practice before the Federal District Courts of the Eastern District of Tennessee, the 6th Circuit Court of Appeal and the United States Supreme Court. He is a member and past-President of the Chattanooga Trial Lawyers Association, as well as being a member of the Tennessee Criminal Defense Lawyers Association and the American Trial Lawyers Association. Martin graduated from the University of Tennessee at Knoxville School of Law, with Honors, in 1976, completing his studies in only 2 1/2 years. He also holds a Bachelors in Political Science with honors from the University of Illinois.